Art started for Judy Abbott about 4 years ago. She has always been attracted to the Sierra Mountains and the Northern California coast. She gathers much of her materials from creeks, lakes, hiking trails and beaches. Most of her time in any place she is watching the ground and trees around her for items that she can use in her art. She just retired as a nurse in January 2018, having worked at Enloe Medical Center for 40 years. This opens up a lot of time to create art. 4 years ago Judy Abbott’s work was entirely made with feathers. 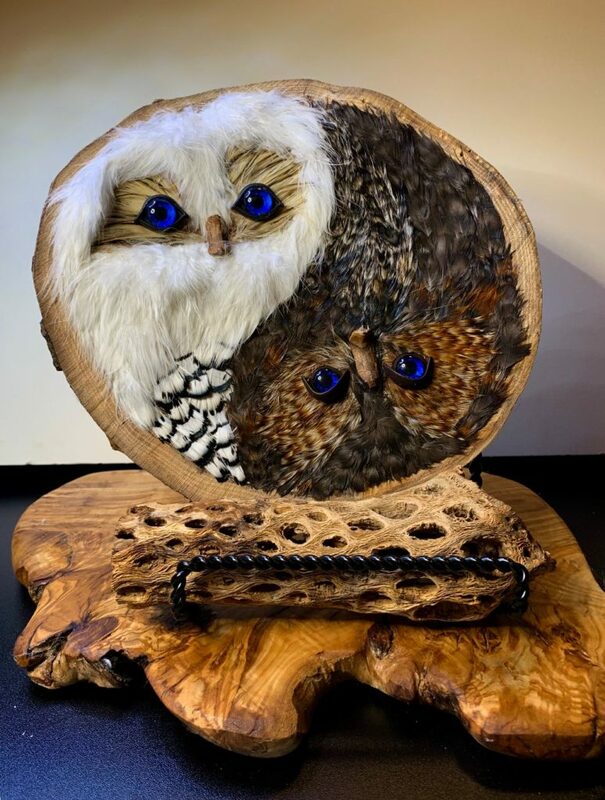 Her husband is a craftsman when it comes to wood and they now work on some things together. He makes her branch boxes for her feather designs. He also makes wood hearts from the inside of these boxes. 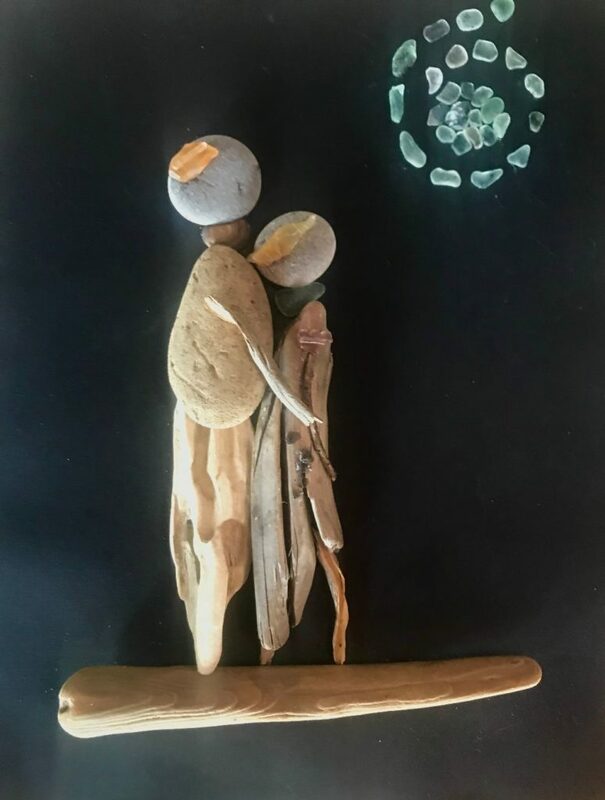 Over the last 2 years Judy started using ocean pebbles, sea glass, gemstones, horse hair, tree bark, and driftwood to create pictures. 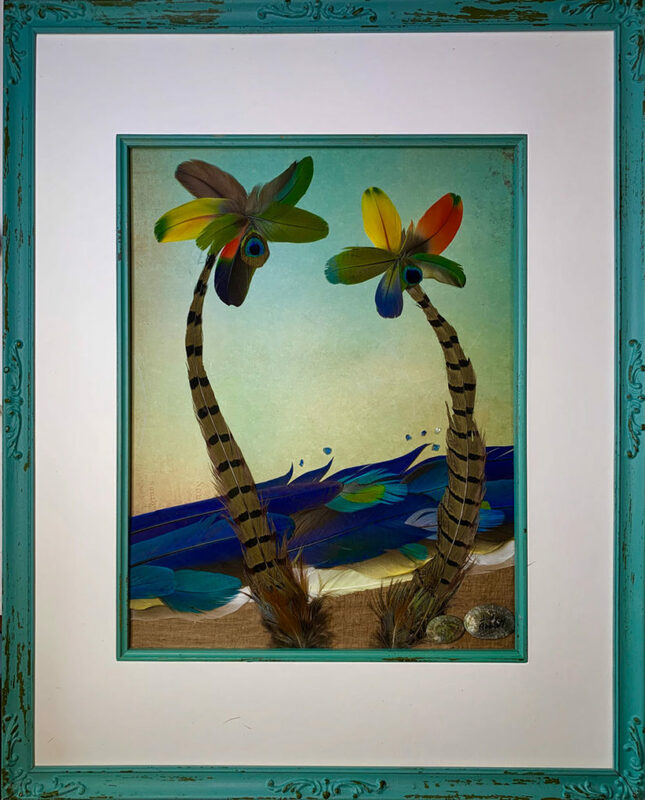 Her art can be whimsical and has the ability to surprise, delight and enlighten and tickle brain cells. 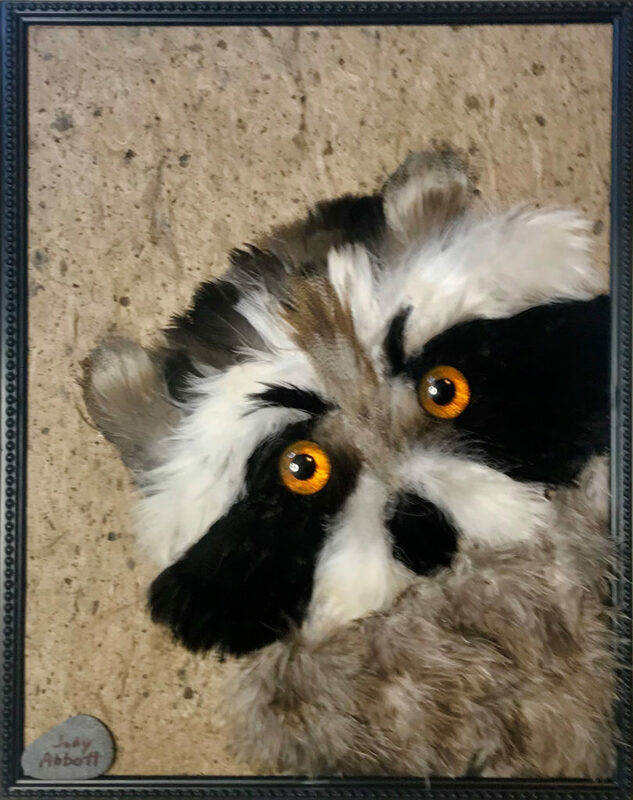 This year, at the Art at the Matador, we look forward to seeing additions to Judy Abbott’s feather friends: owls, cats and raccoons created entirely with feathers with hand painted glass eyes that follow you. In the meantime connect with Judy on Facebook @feathertalecreations.